Known Issues: the Nikon D800 / D800E is not compatible with Eye-Fi X2 Cards. Eye-Fi engineering has found and confirmed a compatibility issue with the Eye-Fi card that impacts the use of Direct Mode in the Nikon D800. We are currently investigating an issue with the D800's SD slot that appears to contribute to a lack of steady signal while the Eye-Fi card is in Direct Mode which makes the Direct Mode feature incompatible with the camera. The Nikon D800/D800e passes all other wireless network tests and is compatible with wireless transfers via a wireless router. Nikon USA currently lists the Nikon D800 as "Eye-Fi Compatible". There are several alternative Wi-Fi solutions for various Nikon DSLR models. 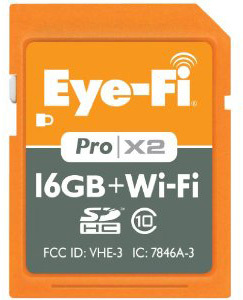 Eye-Fi recently unveiled a new 16GB Pro X2 wireless memory card. 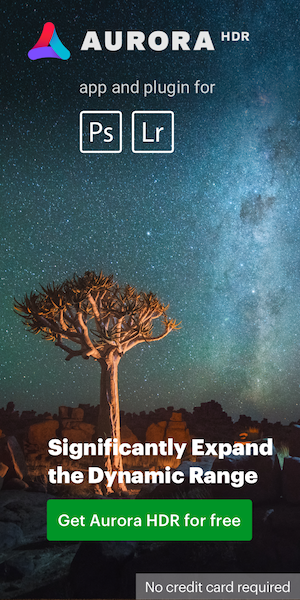 This entry was posted in Nikon D800 and tagged Wi-Fi. Bookmark the permalink. Trackbacks are closed, but you can post a comment.